For all your Salt Lake County stump grinder and stump removal needs call (801) 300-5366 today! Utah Tree and Landscaping offers complete landscaping services, including clearing the property first if needed, even those trees and stumps. 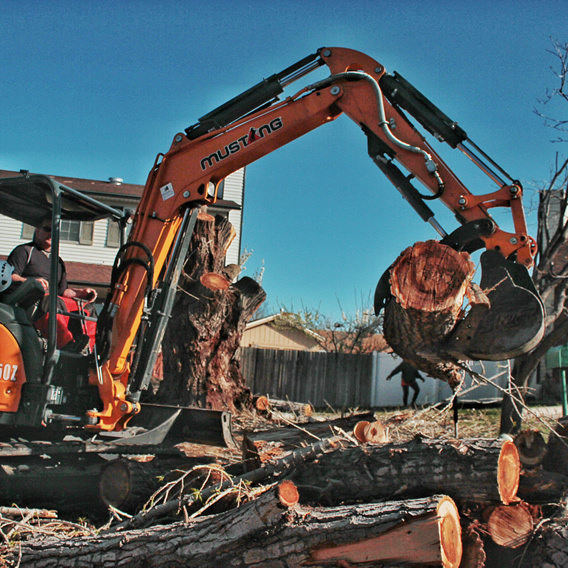 We utilize the best available equipment to guarantee safe tree removal with or without Salt Lake City stump removal and Salt Lake City stump grinding. If you think that you may need a tree or a Salt Lake City stump removal, contact us first for a free assessment. Even if you may want to try removing that tree yourself, it is wise to call our expert technicians. Their education and training could prove to be invaluable as they advise the safest and easiest way for you to go about it. Although Salt Lake City stump grinding is an optional part of complete tree removal, it is necessary if you want to replant in the same area. Stump grinding is fast and effective and very cost effective. Our equipment can tackle even the largest jobs with minimum effects to the surrounding landscape and we guarantee all our work.